Exclusively Ours! Lead, Nickel & Cadmium Free!! Beautiful Large Silver Tone Fire Department Shield Charm Has Red Detailing And Is Bordered In Genuine Austrian Clear Crystals. 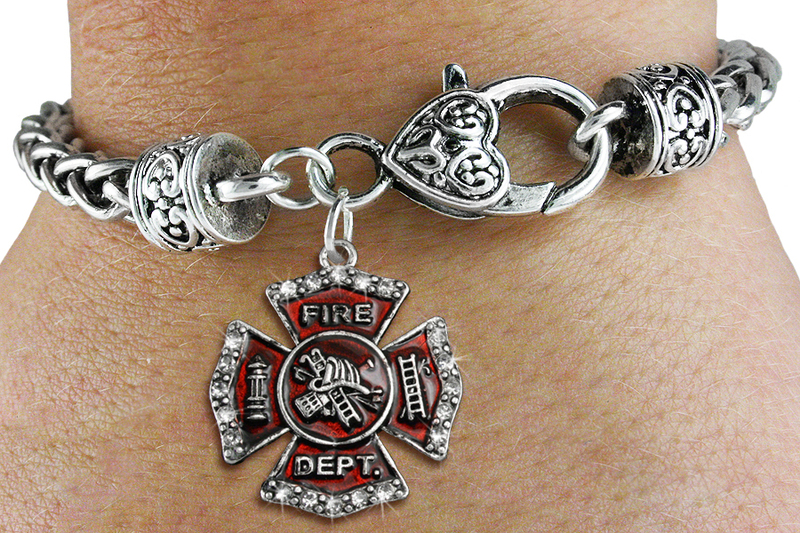 Comes On An Intricately Detailed Antiqued Silver Tone Chain Bracelet, With A Heart Shaped Lobster Clasp. Heart Charm Measures: 1 1/4".